The tech with video game technology and VR headsets is growing with leaps and bounds. Westworld was a movie written back in the day by Michael Crichton. He also did Jurassic Park and 13th Warrior the movie based off the book Eaters of the Dead. About the Norse Vikings with a Grendel like situation. Westworld was rebooted into a series by HBO and is on the 2nd season. Westworld is a theme park that of course is modeled after the Wild West. This month Red Dead Redemption 2 comes out. Which is a video game modeled after the Wild West. Technology grows in leaps and bounds and the crappier reality gets the more people seem to want to escape into virtual worlds. I plan to go into Red Dead myself. Yes there will be guns and violence. Welcome to Earth. But for me to try to explain to you how amazing the scenery and graphics and situations are in this game is probably not possible to explain perfectly. I will show you a trailer instead to make you understand why this is a technological leap. Same folks did Grand Theft Auto. My point is what are virtual worlds evolving into? What is the next level? Check out the trailer. If you love old Clint Eastwood westerns then you will feel at home. You will have a single player campaign or the choice to go online. Can you imagine going into a bar filled with all the culprits available in the grimy Wild West? Red Dead isn't VR. I've never used a VR headset. Have you before? 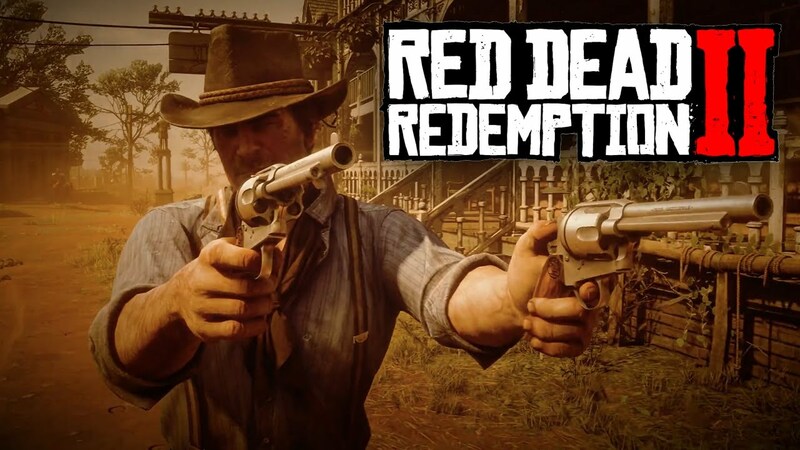 Watch the second official gameplay trailer revealed for Red Dead Redemption 2, releasing on October 26, 2018.